When trustees of the Council on Foundations spoke with more than 200 members and partners during our recent leadership transition, we heard time and again how important it is for the Council to have a strong policy and advocacy presence in Washington. While we assess the internal and external resources, we will need to best serve the field for the long term, we have assembled a talented and experienced Policy Transition Team to ensure that the Council has a robust, active and trusted presence in Washington at this critical moment in time. The transition team will represent the Council at key coalition meetings on tax policy and giving incentives and engage with members and partners to prepare for anticipated Congressional hearings on our sector later this spring. 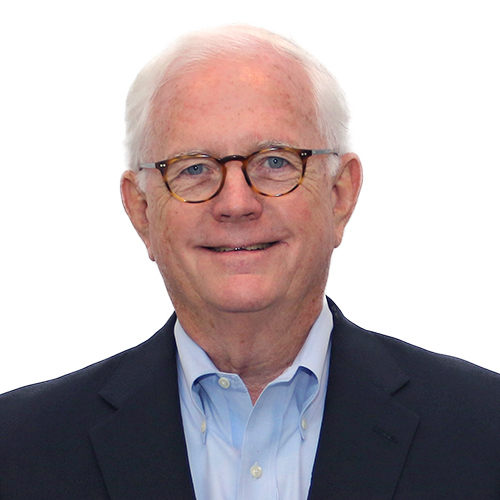 We are pleased to announce that Rob Collier, who recently retired as President of the Council of Michigan Foundations, has agreed to serve as Senior Policy Adviser to the Council. He will lead our Policy Transition Team as well as advise Kathleen and the Council board on the strategy, priorities, and structure for the Council’s longer-term policy and advocacy work. He comes to us through a partnership with the Council of Michigan Foundations, an organization that has long shown incredible generosity in partnership with the Council and the field by sharing their public policy expertise. Rob has a 40-year relationship with the Council as a member of our Public Policy Committee and is recognized for his leadership in support of key legislation on federal giving incentives, such as the IRA Charitable Rollover, and policy events, such as Foundations on the Hill. The Policy Transition Team will build from work previously led by Hadar Susskind, our former senior vice president of public policy, along with the Public Policy Committee and will be shaped by the deep expertise of Stephanie Powers, vice president of policy and partnerships, who has long worked to strengthen the partnership between philanthropy and federal agencies. Sandra Swirski and her colleagues at Urban Swirski Associates in Washington will lead our presence at key coalition meetings and other related activities. Sandra is highly regarded as a thought leader and strategist for our sector, having been the architect and coordinator of the Alliance for Charitable Reform for the Philanthropy Roundtable among many other accomplishments. She and her colleagues are valued participants in coalitions on issues such as UBIT and the charitable deduction. We have also engaged the services of Robin Ferriby and his colleagues at Clark Hill, a Detroit based firm with offices in Washington. For 19 years, Robin served as Vice President for Philanthropic Services, and most recently as Vice President and General Counsel for the Community Foundation for Southeast Michigan. He has a long history of working in Washington with the Exempt Division staff of the Treasury Department on issues such as national standards for community foundations, mission investing, and donor-advised funds. As we structure our strategy for the future, we invite members to an engaging Pre-Conference Policy Session on April 29 at our Leading Together Conference in Miami. Not only will you learn the latest of what’s happening in Washington, but you’ll also be able to inform the Council’s thinking for the future. To register for the Pre-Conference Policy Session and Leading Together Conference in Miami please telephone 703-879-0645 or email registration@cof.org. With the new Congress and related developments in Washington, you can count on the Council to be an active and engaged collaborator advocating for philanthropy's vital role in our democracy. We look forward to living the theme for this year's Conference as we are indeed "Leading Together." Thank you for your support during this transition time. Though Kathleen has been working behind the scenes, she doesn’t officially start until March 5, so we look forward to welcoming her then. In the meantime, please feel free to contact me or our Senior Policy Advisor Rob Collier.